Hokitika accommodation and places to stay are not difficult to find but there are times of the year when booking ahead is advisable. 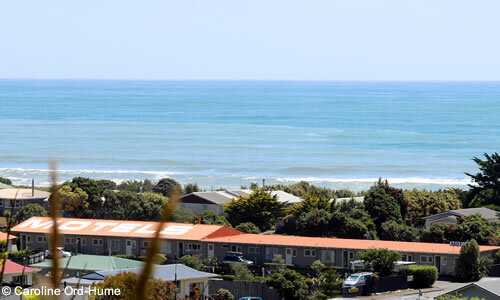 From January through to March there will be events in and around Hokitika that means a lot of accommodation will have been booked up in advance by New Zealanders and tourists. See campsites details further down the page. Hostels in Hokitika cater for backpackers and budget accommodation needs, and will usually provide a mixture of rooms or shared dorms. Select the links to enquire about prices, availability, and book. Mountain Jade Backpackers, Stumpers, and Birdsong are popular hostels in Hokitika. 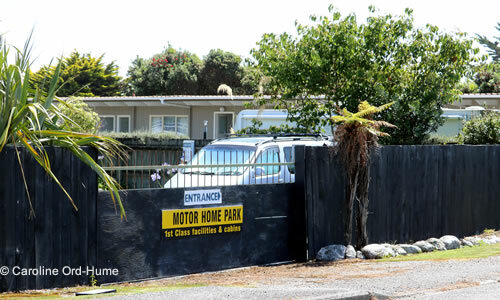 My recommendation is Beachside, on Revell Street; it is where I usually stay when in Hokitika. It is on the edge of town in a quiet area but still within walking distance of the town centre and shops. There is easy access to the beach via a short path through the dunes. The site has hardstanding powered motorhome and campervan pitches, toilet shower blocks, a large kitchen, and a laundry. Beachside also has lots of cabins, studio motel units, budget motel units, two bedroom motel units, stand-alone cottages, and a swimming pool. Beachside is within a wooden fence for privacy and security. I haven’t personally stayed at Shining Star which is out on the north side of town. 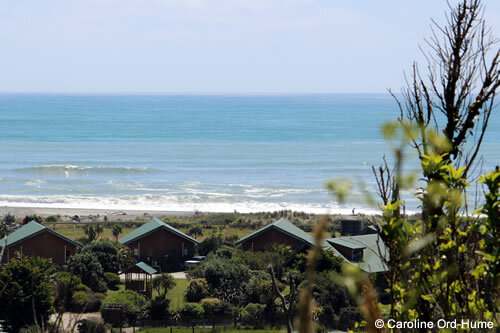 This site has beach front accommodation with ocean and sunset views, a motel with apartments, chalets, and cabins, along with powered pitches for motorhomes and campervans. 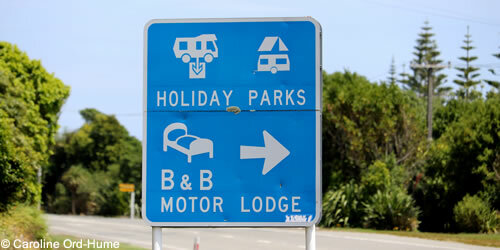 Hokitika Holiday Park is outside of Hokitika, on Providence Drive, just off SH6 north of the town. They have camping for tents, powered pitches for campervans and motorhomes, and a selection of different sized cabins and studios. This site is deal if you want to be out of town and also if you have children as they have built an amazing playground to keep kids entertained. Go to Hokitika NZ for more information about the cool little town, the attractions, events, activities, and things to do in the town and surrounding area.